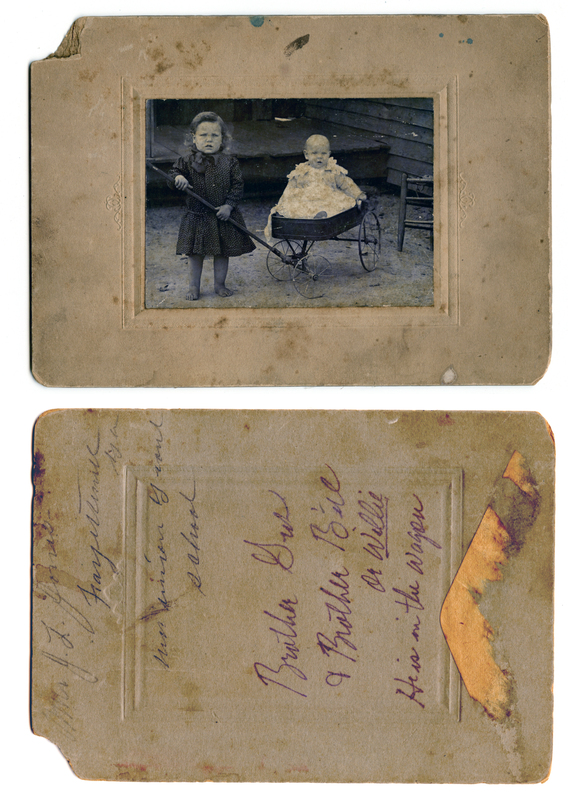 A higher resolution copy of each image can be accessed by clicking on the images on this page. 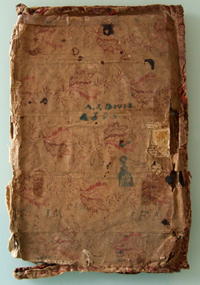 This copy book, dated 1847-1852), belonged to Andrew Jackson Davis. 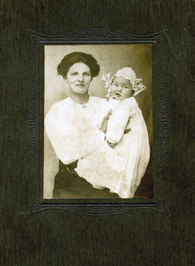 Click the image to access a scanned copy of the entire book. 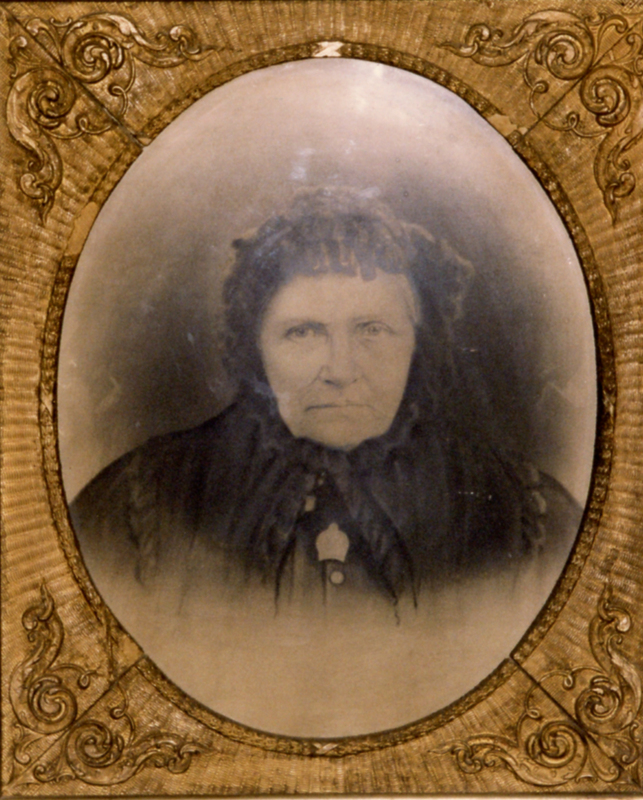 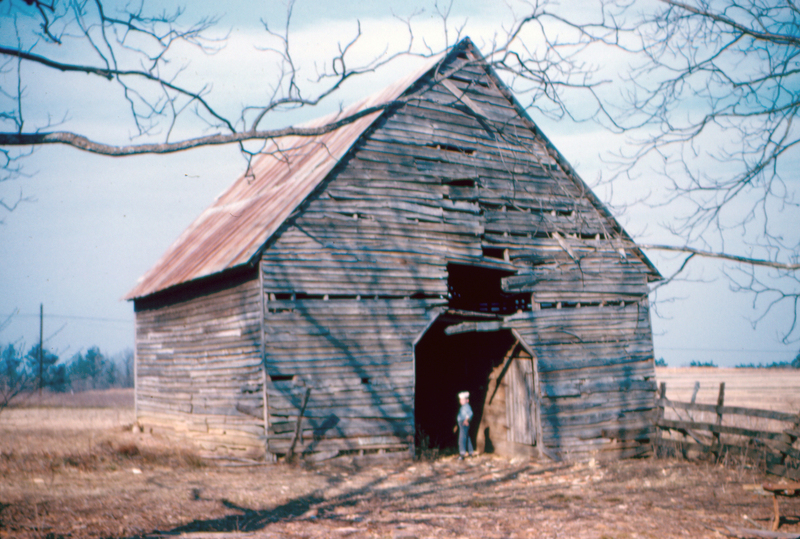 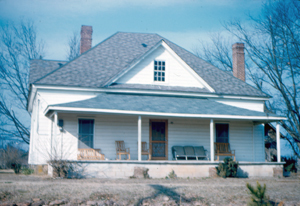 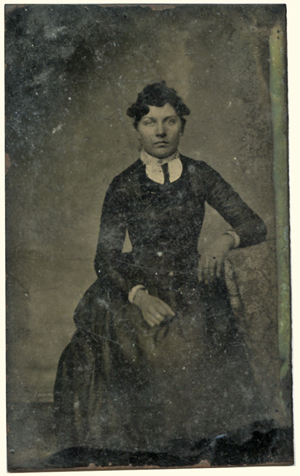 Most of these images were scanned from a collection of original images of several generations of the Davis-Jones family made over a hundred-year period in Fayette County, Georgia. 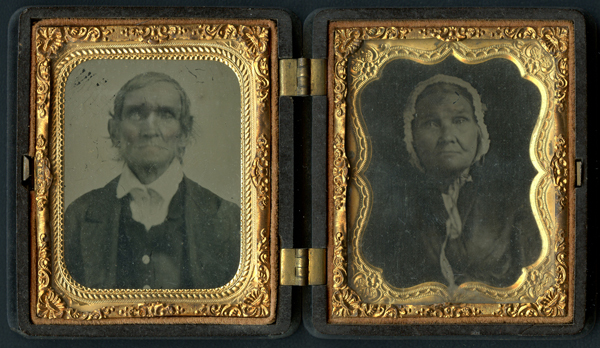 The oldest are ambrotypes of Zadok Davis (1788-1863) and his wife Elizabeth Brassell (1792-1864), who married in Georgia, perhaps in Jones County, in 1807 and moved to Fayette County in the 1820s. 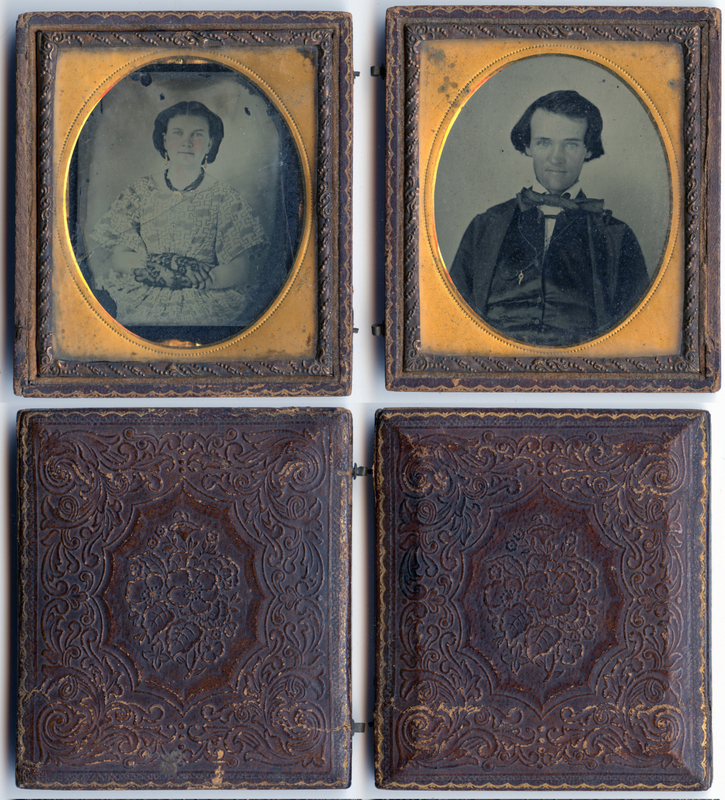 Contemporaneous with those are ambrotypes of their youngest son, Andrew Jackson Davis (1829-1903) and his wife Sarah Jane Wesley (1835-1911), who married in Fayette County in 1852 and raised a family of four at their farm in the community around Flat Creek Baptist Church, a few miles west of Fayetteville. 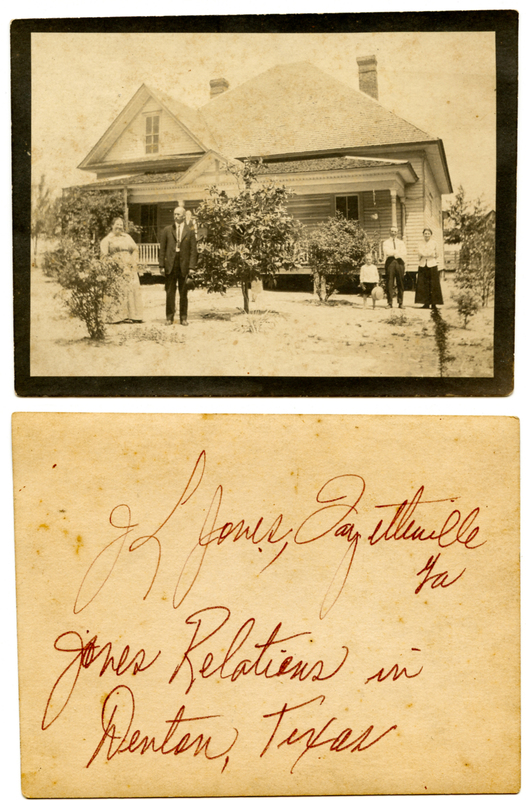 Their daughter Ofie Aurelia Davis (1869-1953) married James Lawson Jones (1866-1929) and they, too, raised a family on their own farm nearby. 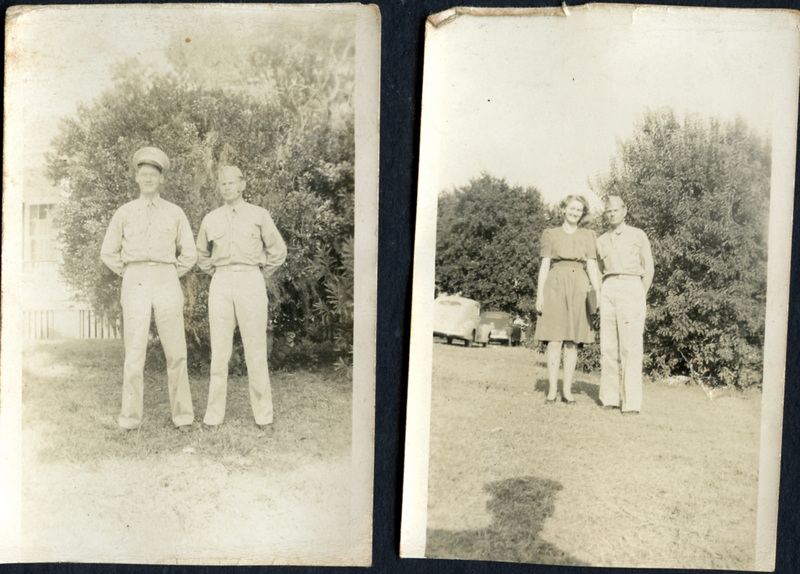 There are a number of photographs of them, their children, and grandchidlren, including their youngest granddaughter, Carol Venable, who preserved them until her death in 2010. 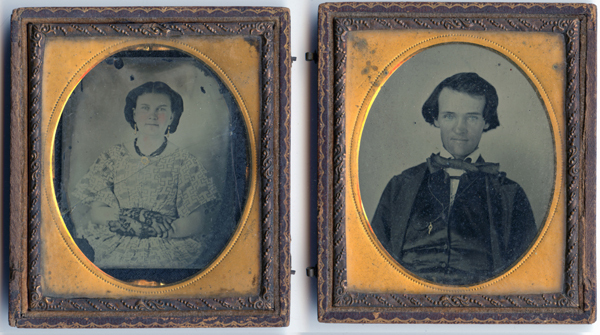 Zadok Davis (1788-1863) and Elizabeth Brassell Davis (1792-1864), tinted ambrotype in gutta percha case, c. 1860. 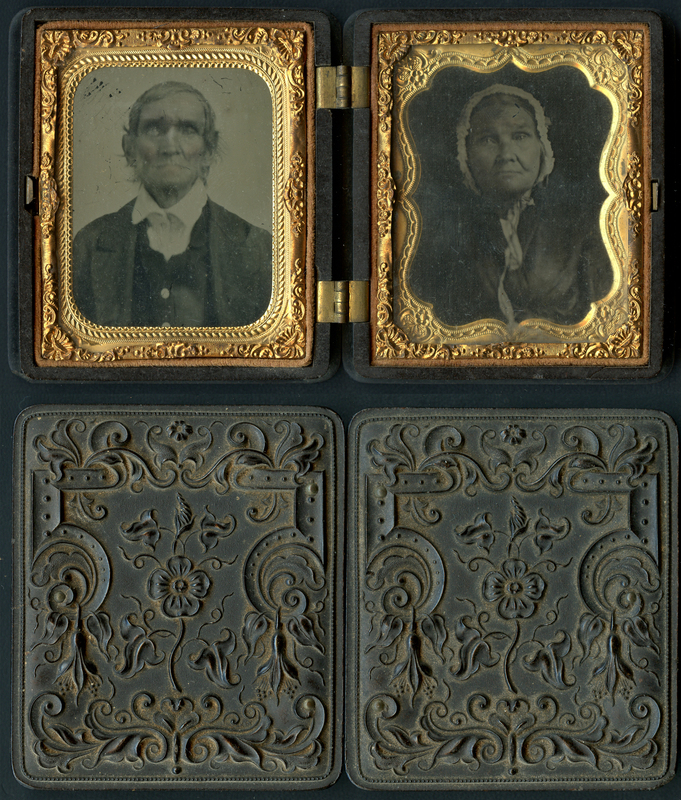 Andrew Jackson Davis (1829-1903) and Sarah Jane Wesley Davis (1835-1911), tinted ambrotypes in embossed leather case, c. 1860. 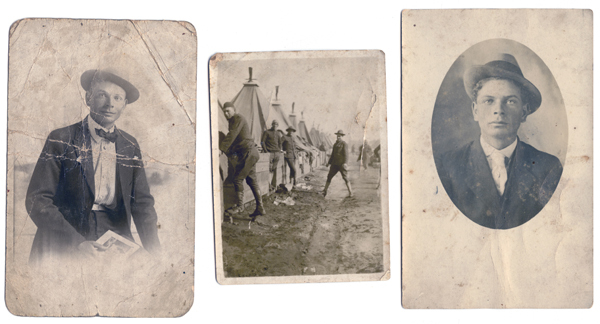 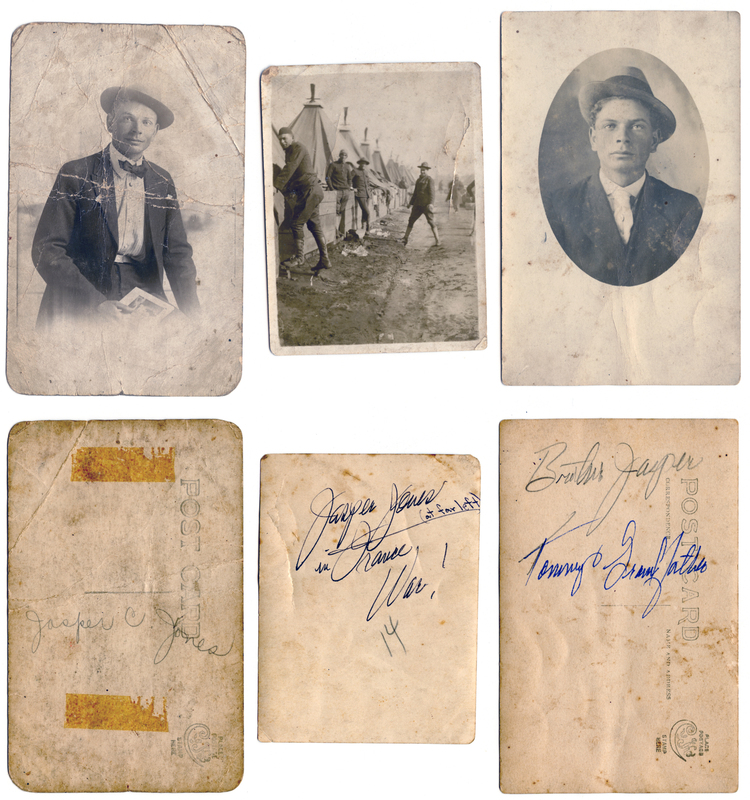 The images were apparently taken at different times and probably by different photographers and were placed in the embossed leather case at a later date. 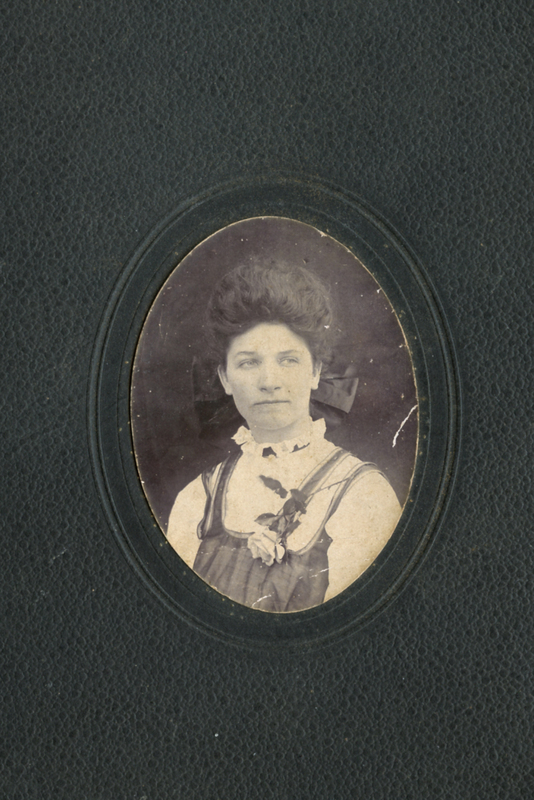 Sarah Jane Wesley Davis, c. 1900, large framed photograph in painted gesso-decorated frame. 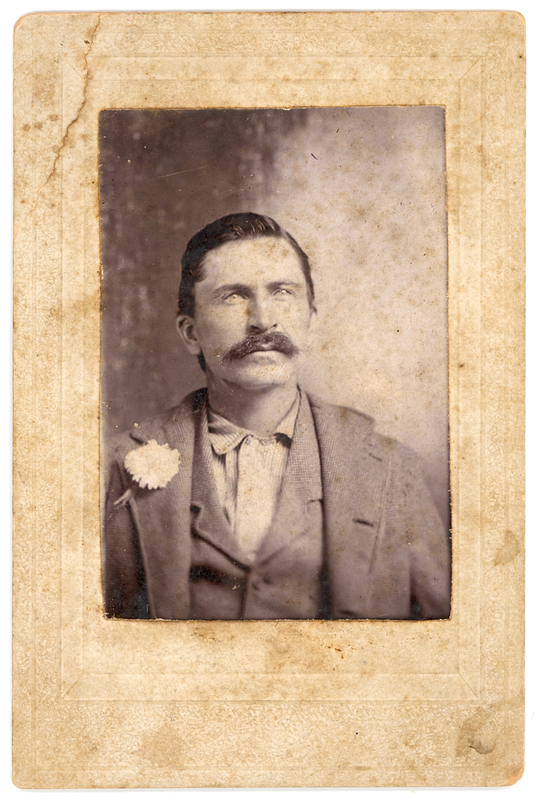 Andrew Jackson Davis, c. 1900, large framed photograph, heavily retouched. 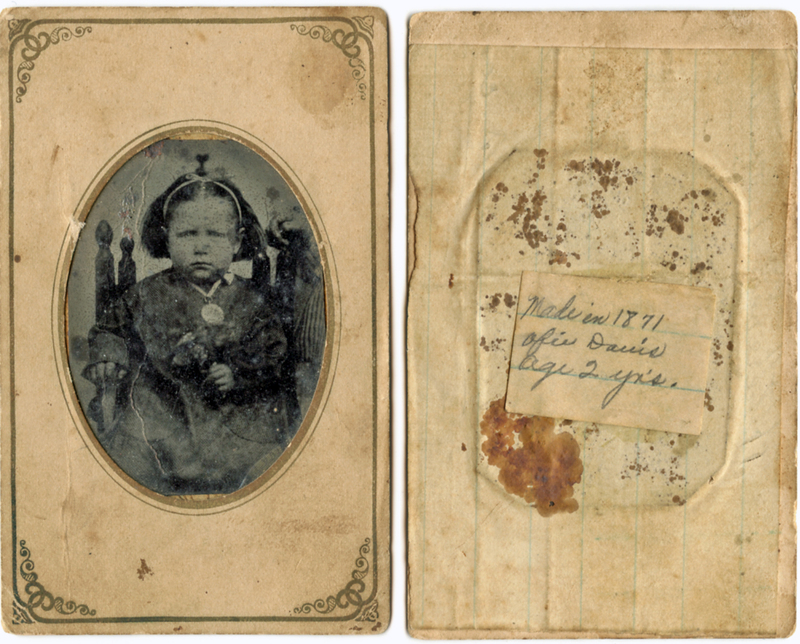 Ofie Aurelia Davis (1869-1953), third child of Andrew J. and Sarah Jane Wesley Davis , tintype in printed paper case, 1871. 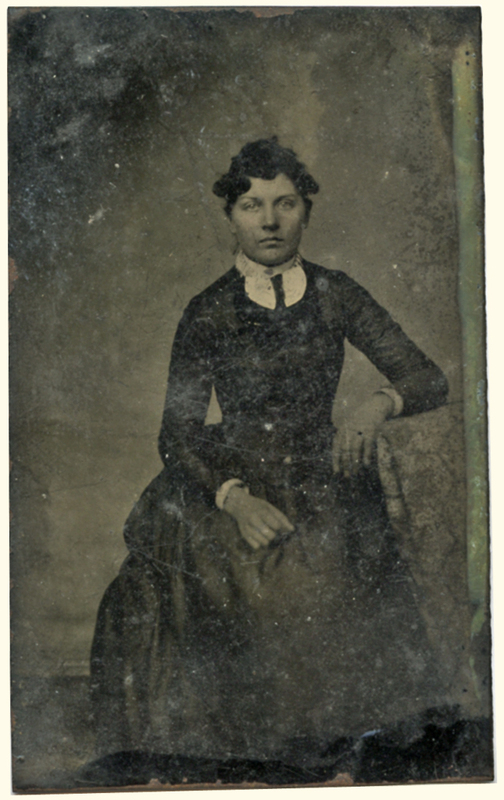 Ofie Aurelia Davis Jones (1869-1953), tintype, 1887. 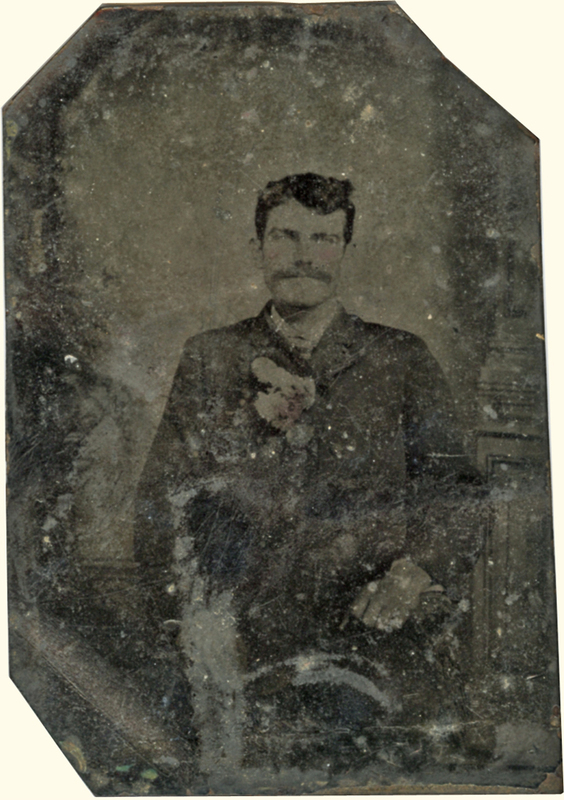 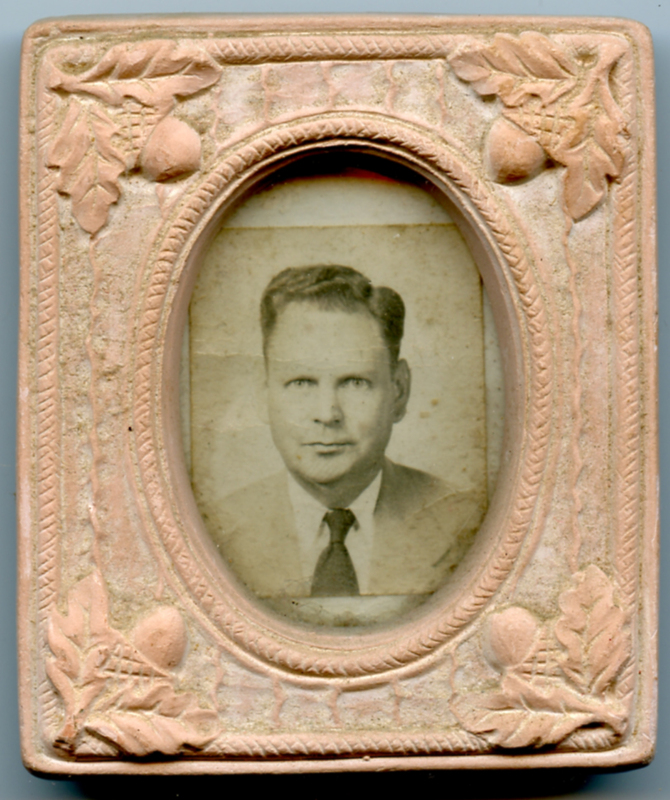 James Lawson Jones (1866-1929), oldest son of William Jasper Jones (1824-1885) and Nancy Coleman (c. 1835-c. 1890), tinted tintype, c. 1886. 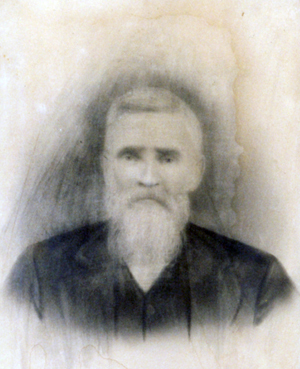 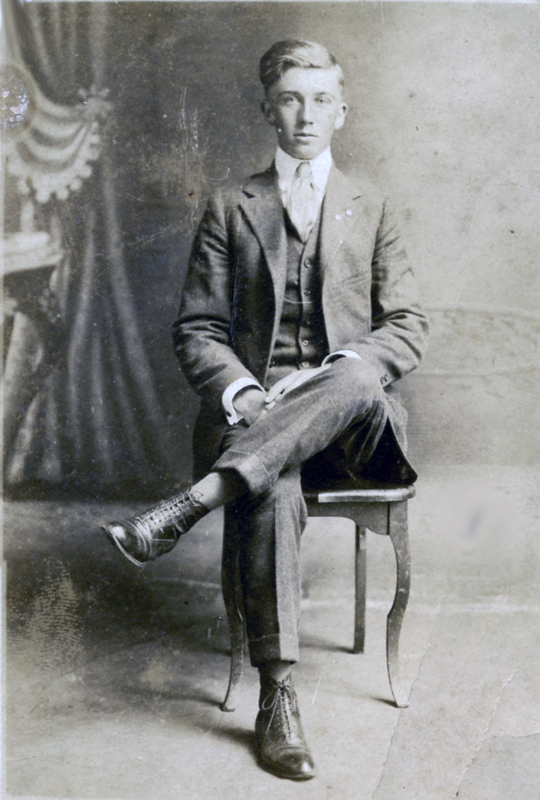 James Andrew "Quaker" Davis (1868-1956), oldest son of Andrew and Sarah Jane Davis. 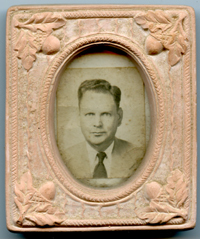 Original medium not known. 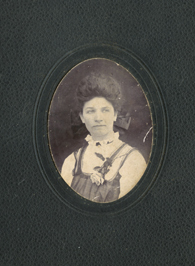 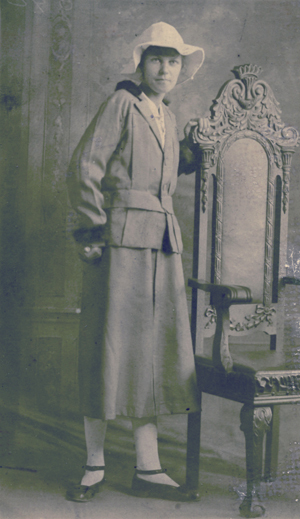 Hattie Victoria Jones Duffel (1868-1909), youngest daughter of William Jasper Jones and Nancy Coleman, c. 1890. 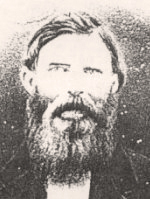 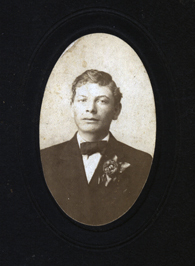 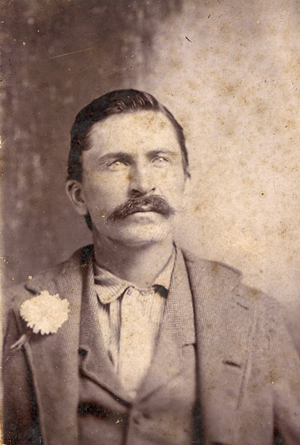 Garrett Lemuel Wesley (1822-1892), eldest sibling of Sarah Jane Wesley Davis. Original image has not been located. 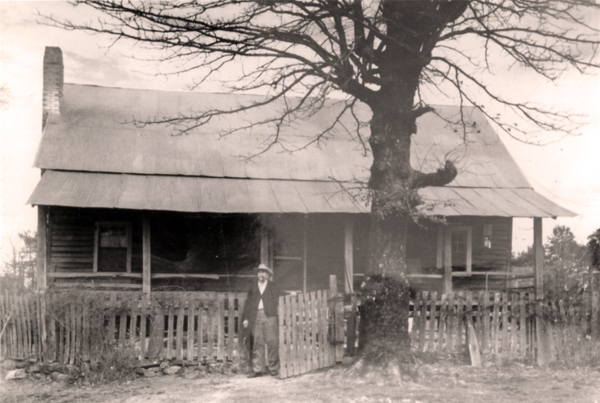 Quaker Davis in front of his house on the Tyrone Road. 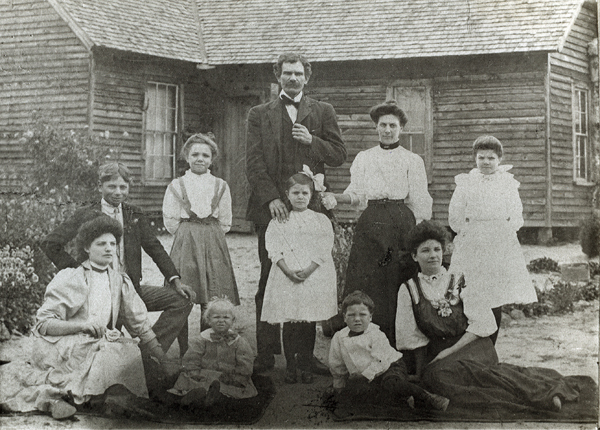 James L. and Ofie Davis Jones and eight of their ten children. Left to right, Danny Mary, Jasper Calhoun, Elizabeth Dewey, William Allen, Winnie Kate, George Augustus, Sally Teory, and Minnie Lou, probably spring 1906. 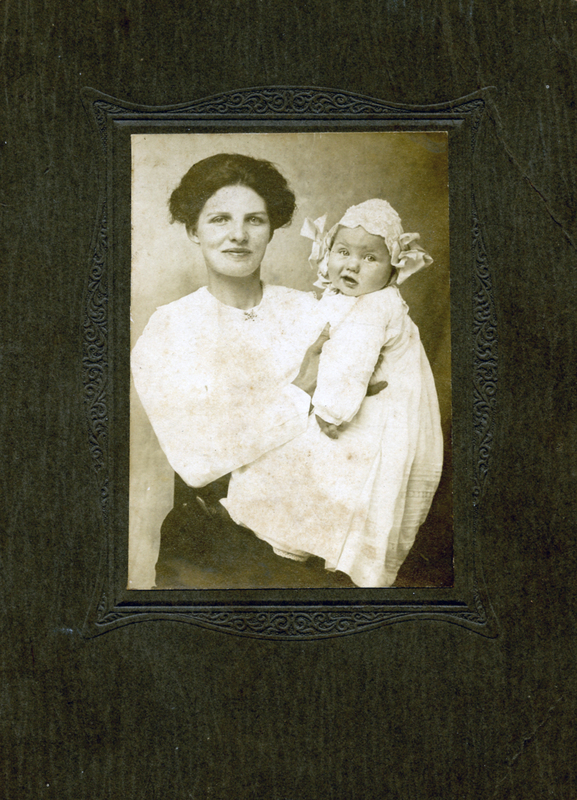 Their last child, Dorothy, would be born in 1914. 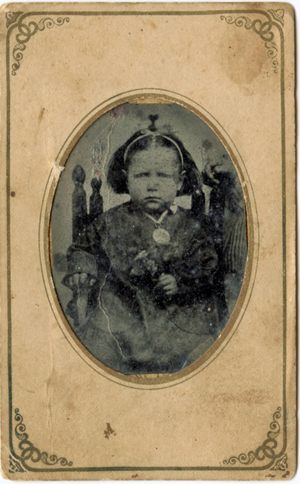 This image is scanned from a photographic reproduction of an original image which was not part of the collection and is assumed to have been taken in front of the family's home on the Tyrone Road. 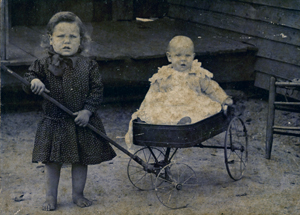 George Augustus Jones (1904-1983), left, and William Allen Jones (1905-1967) in his wagon. 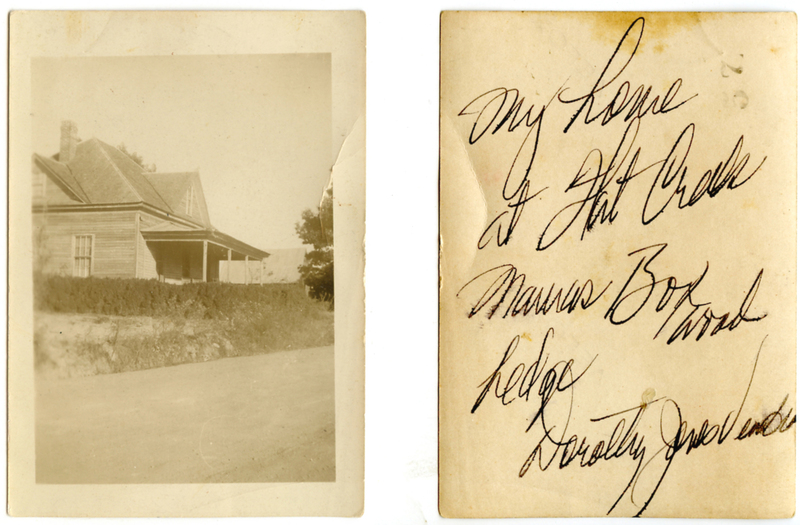 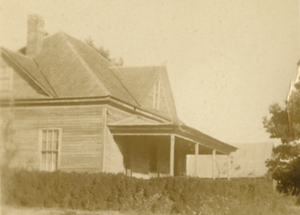 "My home at Flat Creek / Mama's boxwood hedge / Dorothy Jones Venable," c. 1925. 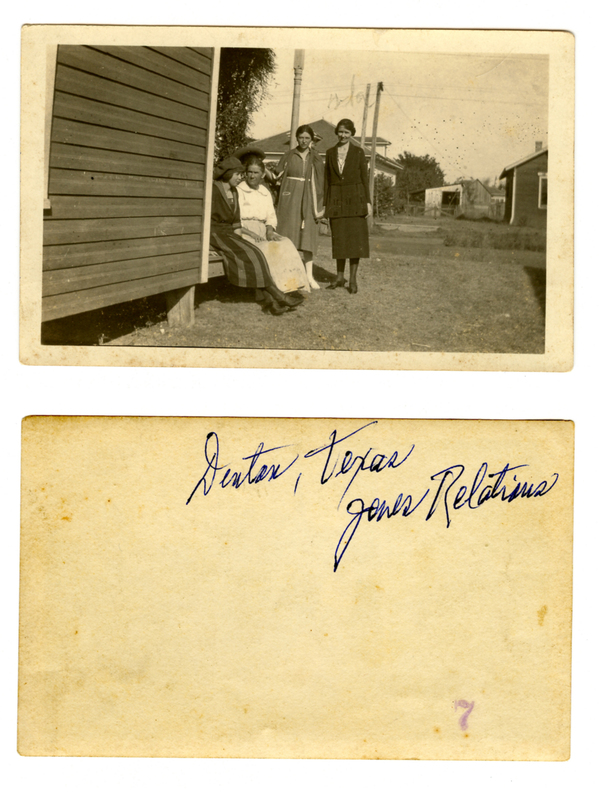 Dorothy Jones Venable (1914-1994) identified each of the five images in the group below as being simply "Jones relations" in Denton, Texas. 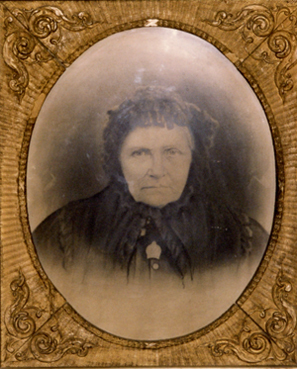 Circumstantial evidence suggests that they are mostly of of William Jasper and Nancy Coleman Jones' eldest daughter, Martha Luana "Mattie" Jones Enlow, and her family. 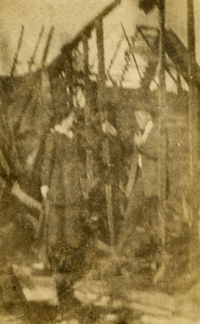 Martha "Mattie" Luanna Jones ((1863-1927) and her husband William Augusta Enlow (1851-1907) may be the couple at left. 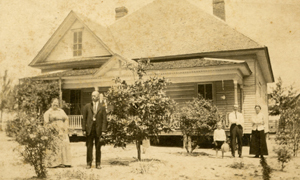 The family group at right may be Hattie Victoria "Vickie" Jones (1868-1909), her husband Thomas E. Duffle (1855-1899) and their son Thomas Watson Duffel (1896-1977). 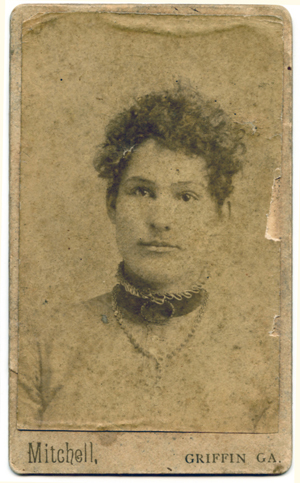 The photograph probably dates to around 1900. 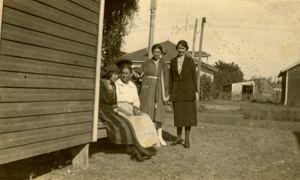 This photograph may show Mattie Jones Enlow with her three daughters, Nancy Jewell (1888-1972), Victoria Frances (1892-1962), and Eula Belle (1896-1976). 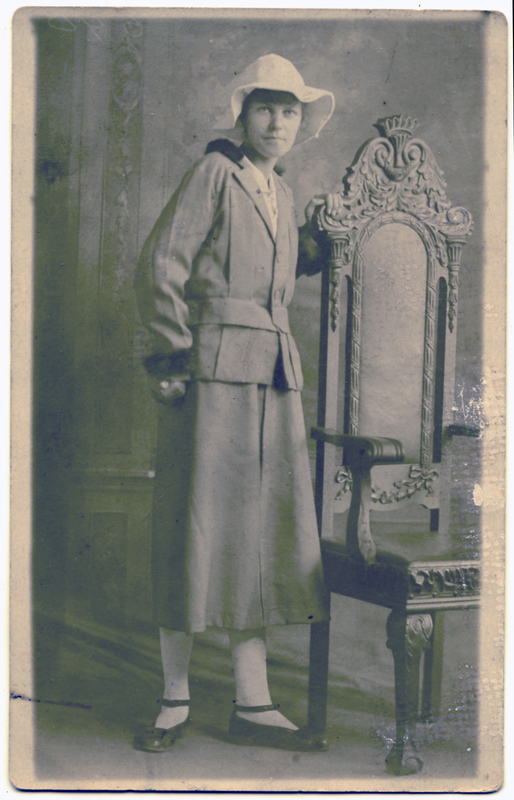 The photograph probably dates to around 1920. 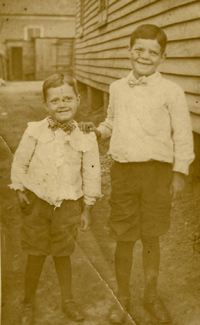 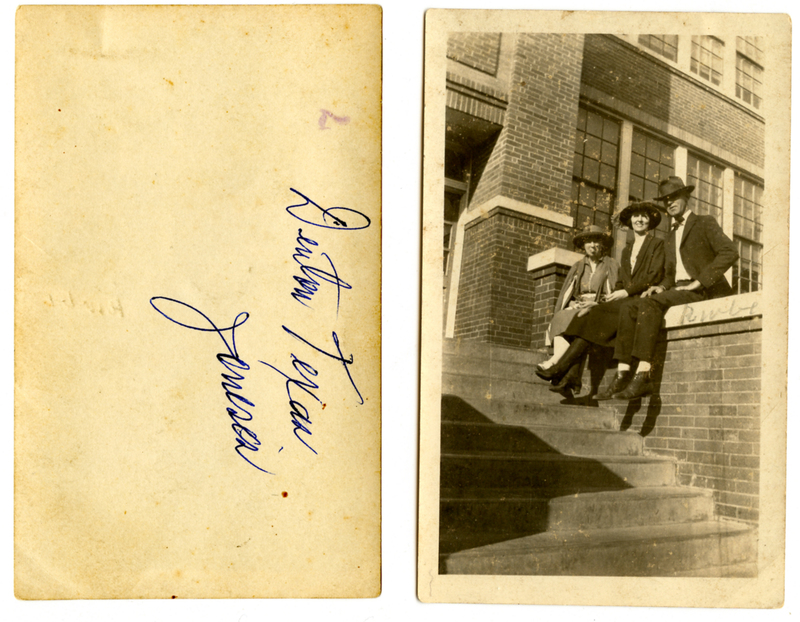 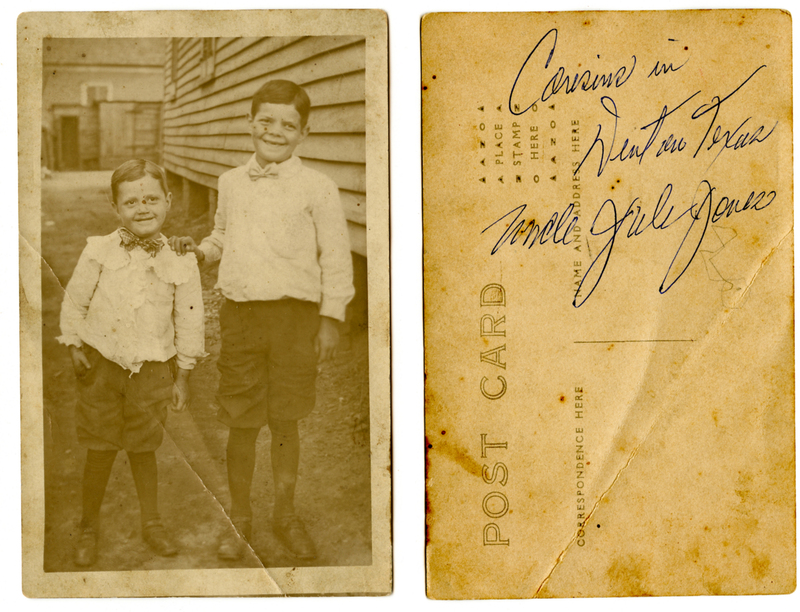 This images is probably of the Enlows' youngest sons, Claudius Henry (1894-1981) and Julius C. (1896-1979). 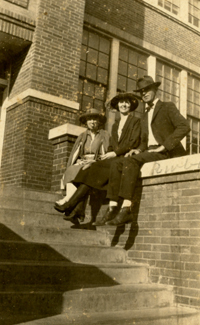 This image may be of two of the Enlows' daughters and a husband or boyfriend. 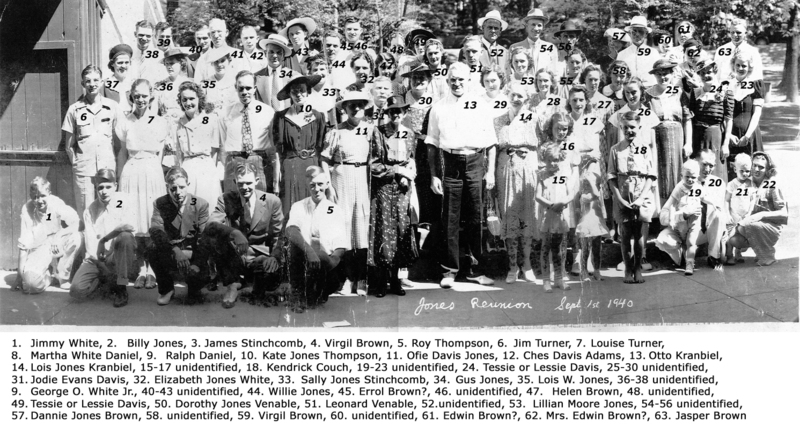 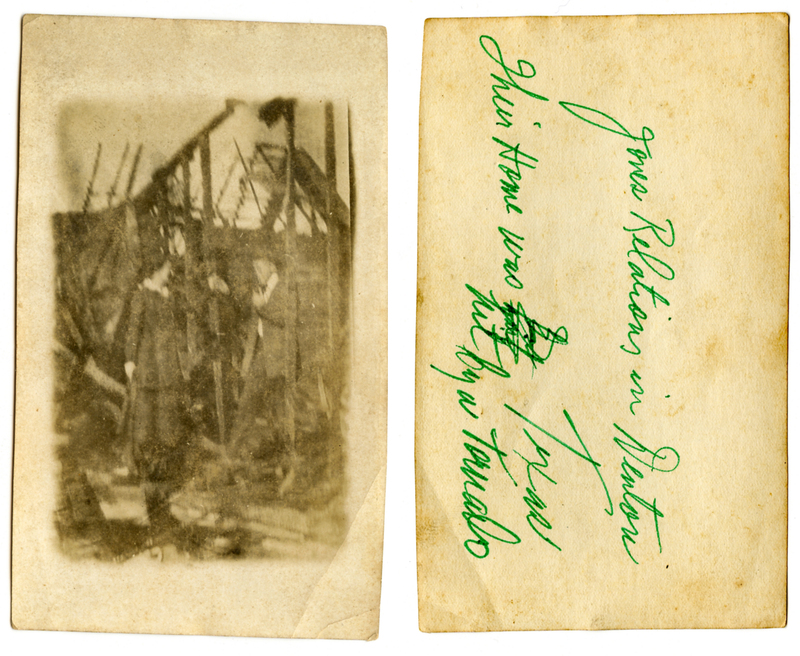 Although annotated as a "Jonens reunion," this photographs was actually taken at a reunion of descendants of Andrew and Sarah Jane Davis at Lee's Mill, Fayette County, Georgia, on Sunday, 1 September 1940. 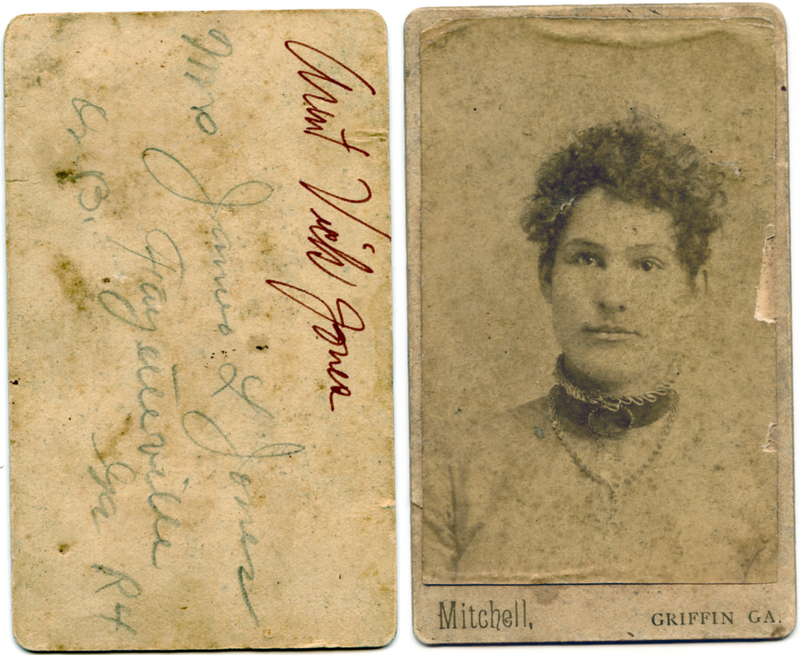 Ofie Davis Jones and her siblings are just left of center in this image. See here for identification of those in the photograph. 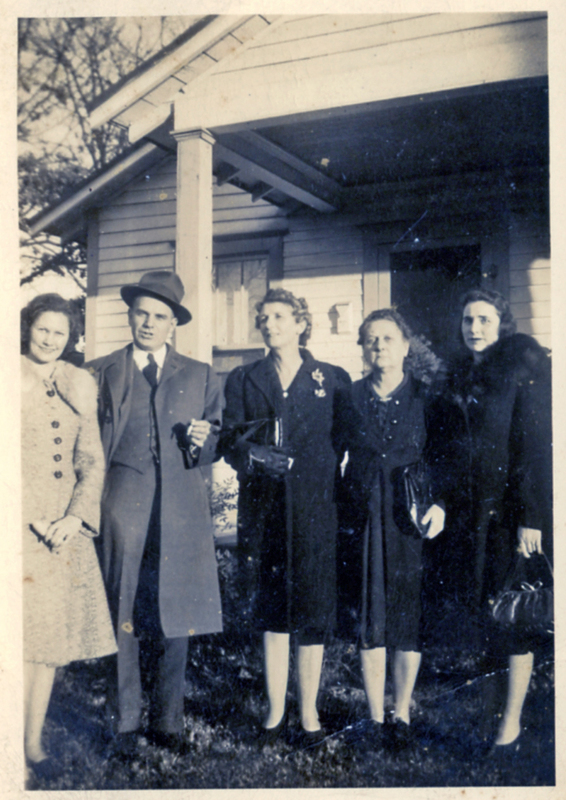 Left to right: Dorothy Jones Venable, Gus Jones, Sallie Jones Stinchcomb, Ofie Davis Jones, and Lois Wall Jones, in front of Ofie's house on S. East Main Street in College Park, c. 1940. Left to right: Dorothy Jones Venable, Louise Stinchcomb Turner, Ofie Davis Jones, William Allen Jones, probably Savannah Beach, c. 1940. 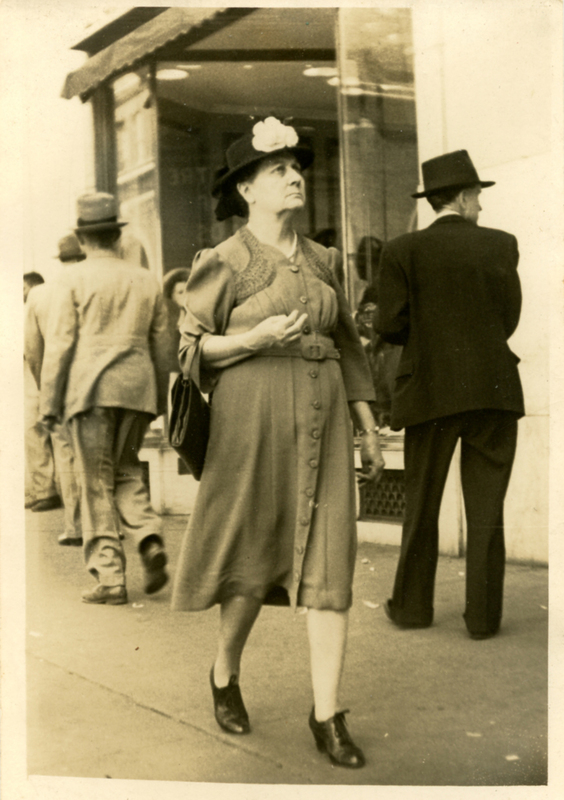 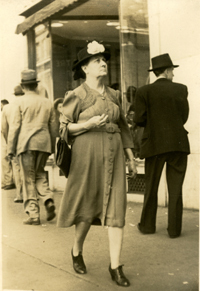 Ofie Davis Jones, probably on Whitehall Street in downtown Atlanta, c. 1940. 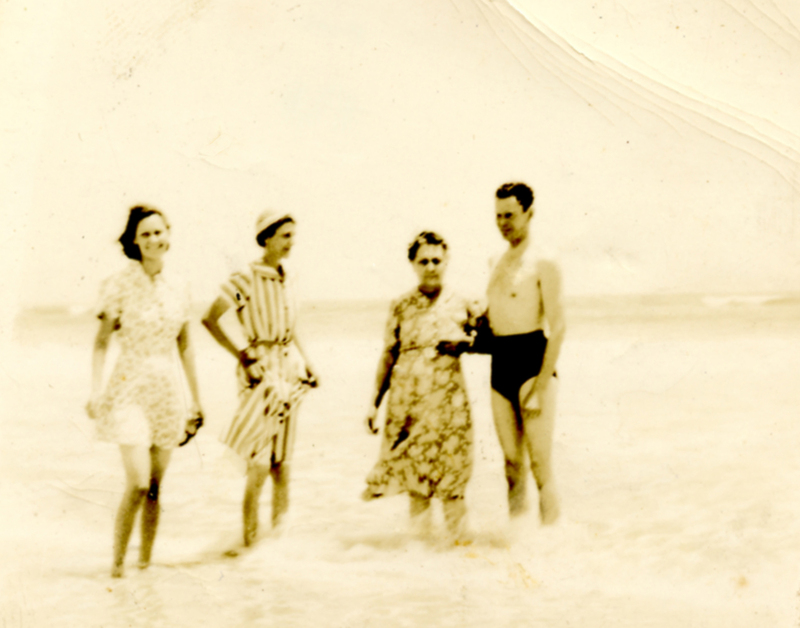 Left to right: Dorothy Jones Venable, Ofie Davis Jones, William Allen Jones, and Carol Venable, c. 1950. 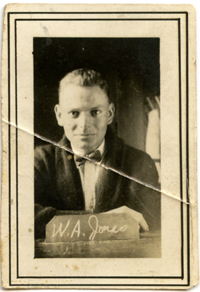 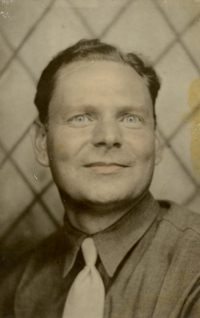 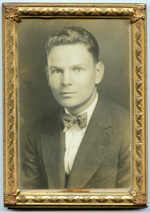 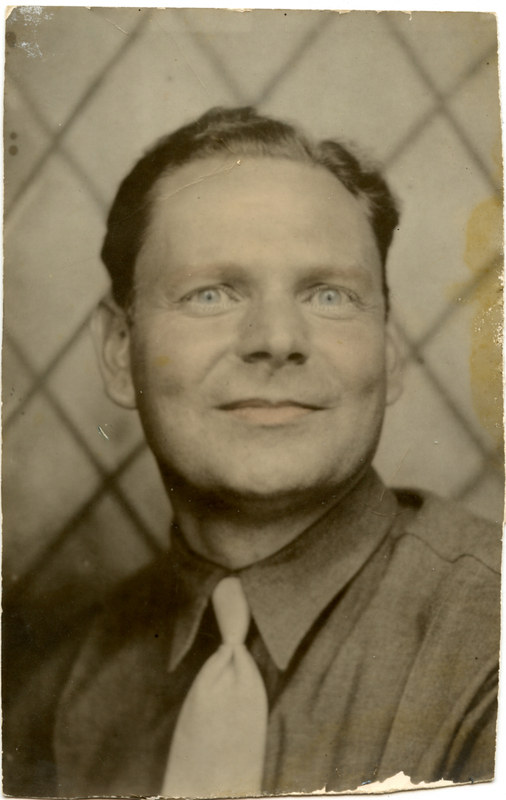 Below are several images of William Allen Jones (1905-1967), youngest son of James and Ofie Jones. 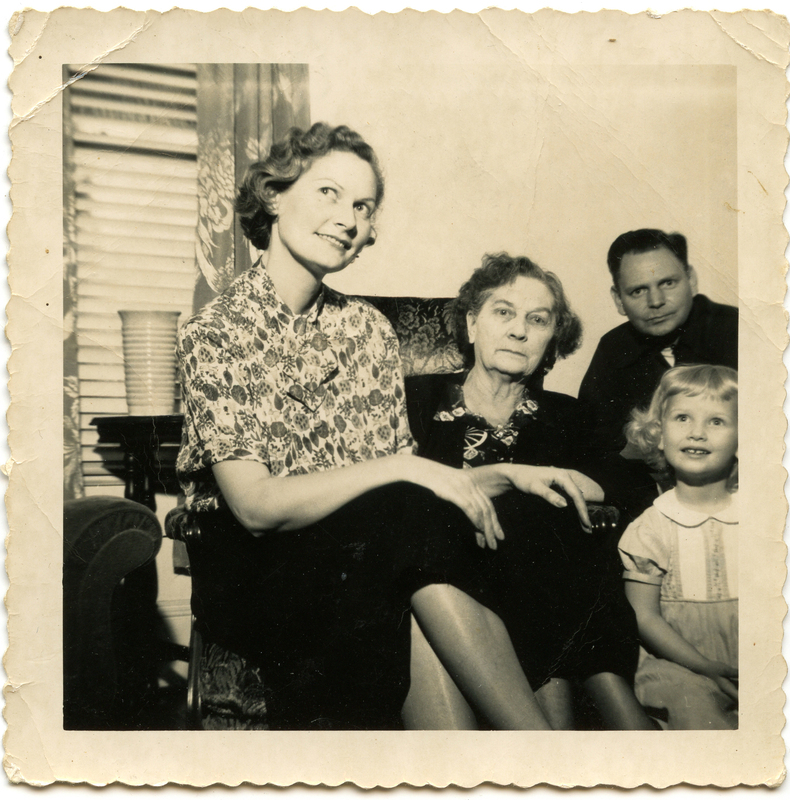 Never married, he lived most of his life in College Park and was remembered by Carol for his great kindness to her. 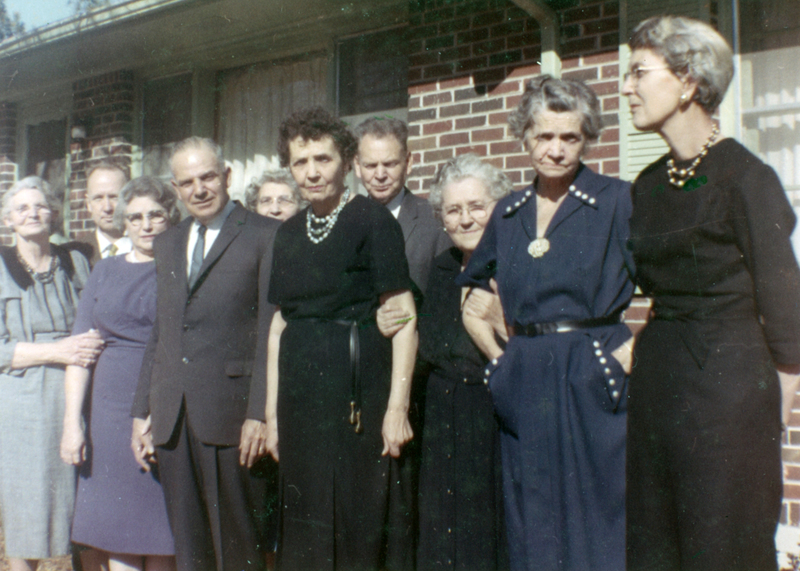 James and Ofie Jones' children and their spouses, perhaps taken on the occasion of Jasper Jones Sr.'s death in April 1963. They are probably standing in front of Gus and Lois' house on Macon Drive in southeast Atlanta. 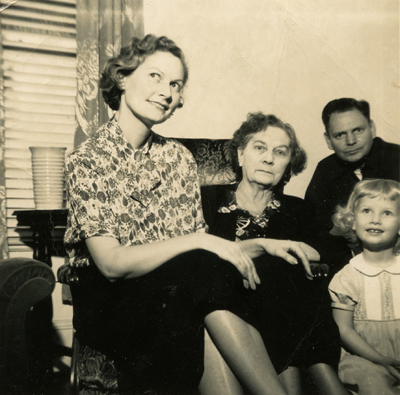 Left to right: Danny Jones Brown, Leonard Venable (Dorothy was taking the picture), Lois and George Jones, Sally Jones Stinchcomb, Elizabeth Jones White, William, Allen Jones, Lillian Moore Jones, Minnie Lou Jones Pyron, and Kate Jones Thompson. 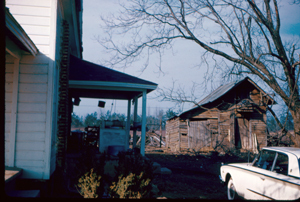 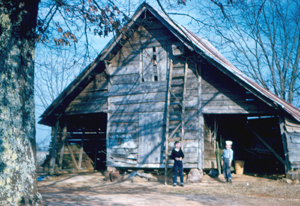 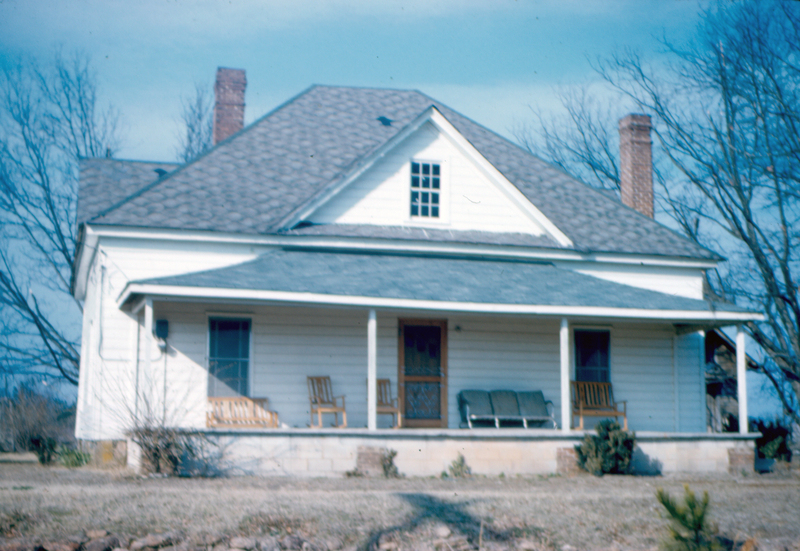 The four images below of James and Ofie Jones' house on the Tyrone Road are scans of Ektachrome 35 mm slides taken around 1960. 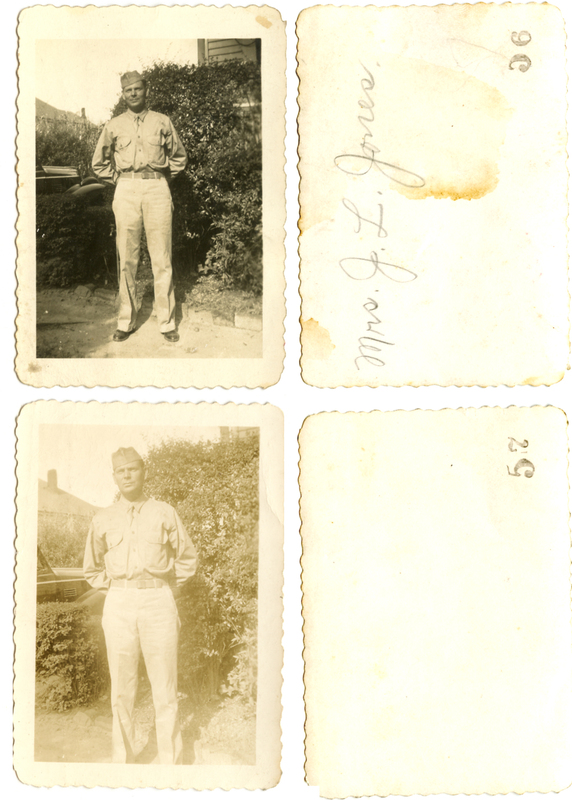 The image at lower left includes their great-grandsons Tommy and Mike Jones.